Of all the Olympic sports in Rio, golf, back in the mix for the first time since 1904, was starting from a position of perceived weakness because the top four players in the world decided to give it a miss with the risk of catching the Zika virus as the main reason. The IOC wanted the biggest names but instead Rory McIlroy delivered the most damning verdict on Olympic golf by saying that not only was he not playing in it, he probably wouldn’t bother watching it as he was only really interested in the ‘stuff that matters’. He was the first to say the risk of catching the Zika bug was too great a risk. Jason Day, Dustin Johnson and Jordan Spieth also snubbed the Games for various reasons. 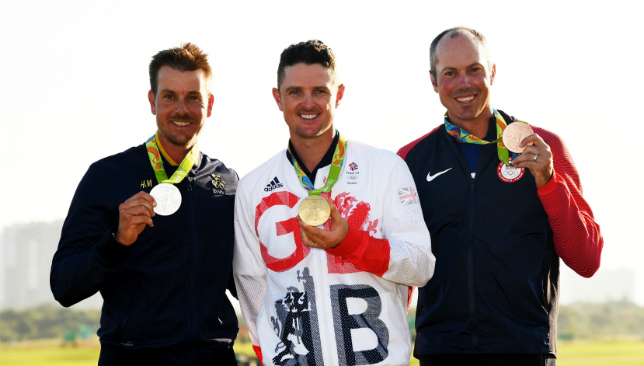 The fact that Justin Rose both embraced the tournament and won gold after an exciting battle with Henrik Stenson without a Zika carrying mosquito in sight, makes McIlroy and co look pretty silly and gives the game’s image a boost. But although McIlroy was out of order with his comments it was a clear indication of a top golfer’s priorities and the Olympics isn’t one of them. And as much as Rose will go home as proud as punch that he has an Olympic gold medal and has represented his country in what is supposed to be sport’s greatest show I wonder where in his list of achievements it will sit in years to come when the four players who would have represented his biggest challenge weren’t there. It’s a bit like winning the 100 metres without having to take on Usain Bolt. A gold medal is an awesome achievement but for professional golfers it does not and never will represent the pinnacle of their sport which remains the majors and for me the Rio tournament just didn’t come close to the competitive intensity of a major. For other sports like swimmers, runners, high jumpers, long jumpers, fencers, weightlifters and many more an Olympics medal is their only focus as they train hard for four years. It is their benchmark of excellence and you can see how much it means to them. Not so for the majority of pro golfers. The withdrawals of the world’s top four players did not do golf’s image much of a favour and the Zika virus was undoubtedly no more than a convenient excuse but the Olympics clearly does not have the pulling power to attract every elite player and until that happens it lacks total credibility. One of the main reasons for allowing a sport in the Olympics is to grow that particular activity world wide. Did the fact that Rose, Stenson, Patrick Reed, Bubba Watson, Sergio Garcia and Danny Willett, amongst others, competed on the Gil Hanse designed golf course in front of mediocre crowds, although there were more watching yesterday, help the sport become more appealing to youngsters? Why would it? It’s no different to watching them play in the Masters, the Open, the PGA Championship or the US Open apart from the fact that it does not carry the gravitas or appeal of those majors. The only non-major golf tournament that truly inspires youngters to take up the sport is the Ryder Cup because of the passion and camaraderie of what has become a fiercely competitive team battle between Europe and America. Golf does have a place in the Olympics but it should be for amateurs only. A young up and coming golfer – and there are plenty of them with the talent to become pros – would cherish the opportunity to win a gold medeal because at that stage of their career it would be their biggest prize and would showcase their potential on the world stage. That would also inspire youngsters. The other possibility that might work would be to follow the example of football where only Under- 23s are allowed to play which rules out most of the biggest stars. I understand the need to have big names in the Olympics but it should create its own heroes rather than play the celebrity game with those who have already made it. Rose’s gold does not change my opinion that if Olympic golf remains a tournament for top professionals, some of whom clearly couldn’t care less about becoming Olympians, it devalues what the Games are about – the awesome achievements of those sportsmen and women for whom a gold medal is their ultimate accolade. 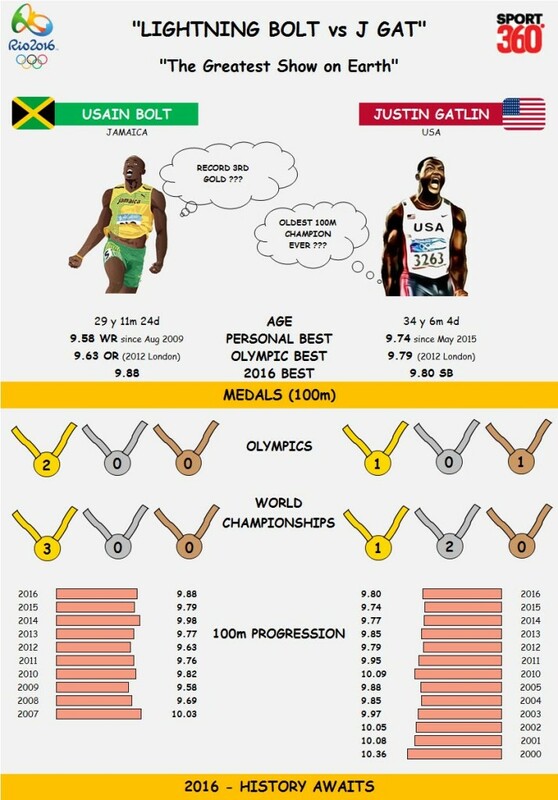 Rio 2016’s best running rivalry sees two veterans go head-to-head, as Justin Gatlin and Usain Bolt prepare to compete in the 100m dash at the Olympics. 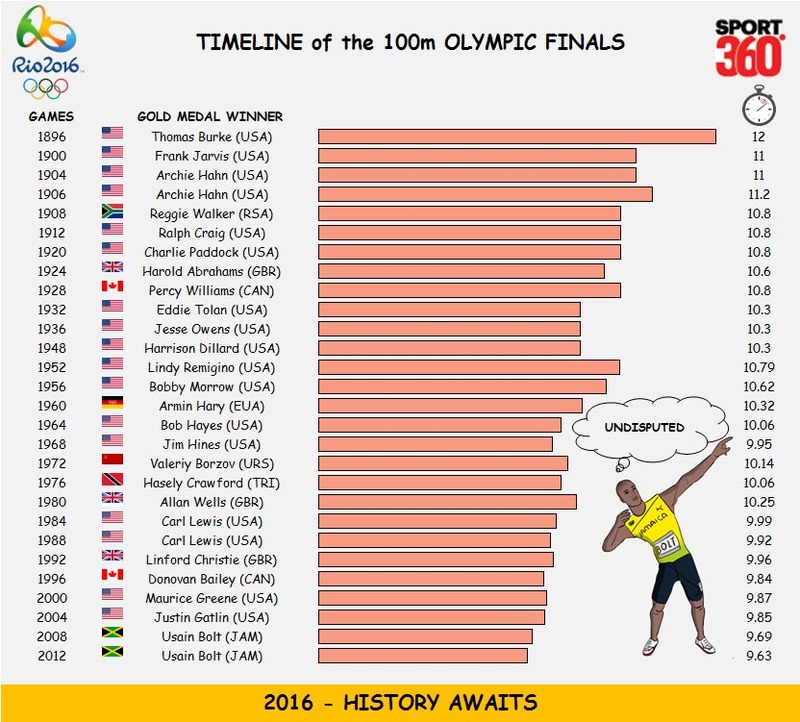 Ahead of the Showpiece event of the 2016 Rio Olympics – “The Men’s 100m Final”, Sport 360 takes a look at the biggest rivalry on the Track & Field and the History of the 100m Olympic Finals. Will Bolt reign supreme again? Get in touch on social media using #360fans and let us know! 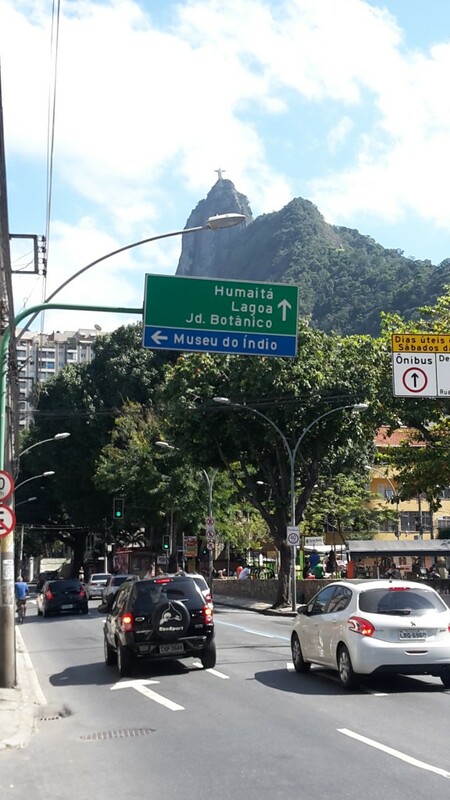 RIO DE JANEIRO, Brazil — As a journalist covering an event as hectic as the Olympic Games, you can sometimes lose track of the real world – which day of the week it is, and exactly where you are. Here in Brazil these reminders also often involve dancing or a samba beat. On Saturday night, I decided to sit up in the stands rather than the media centre for my last night of swimming and it was worth the switch. About 25 minutes before the programme was due to start, the rhythm kicked in and soon the pool deck was covered with musicians and dancers. Only in Brazil – and particularly Rio, that famous carnival city. It reminded me of a trip between venues on the metro the other day. A couple boarded the train and the man started to give a long speech in Portuguese. As my Portuguese is beyond limited, I wondered for a split second if this was a mass-mugging – we’ve all heard the horror-stories. But then, out of her jacket pocket, the women produced a device that played music and the man began to pull some serious hip-hop dance moves. I was happy to place a few coins in the hat that did the rounds afterwards. In the build-up to these Games, much was made of the rampant crime rate and animosity of the locals towards the hosting of the Olympics. Of course these problems don’t just go away, but so far we’ve managed to focus largely on the sporting stage for the past 10 days which has been great. It was the women’s cycling road race that served up one of the heart-stopping moments of the Games. Dutch cyclist Annemiek van Vleuten was in the lead with less than 10km to go when she went flying over her handlebars and landed in a crumpled heap in the gutter. She lay there, seemingly lifeless while the rest of the field passed her by. Many of them said afterwards they were convinced Van Vleuten was dead. But miraculously, the Dutch rider only sustained three cracks in her spine. And just a few days later she was up and tweeting from the track cycling venue where she was supporting her teammates. In true Olympic style, Said was also already talking about his plans to compete in Tokyo four years from now. Warning: video below contains images some people may find upsetting. Of course this one has to go to Sergiu Toma, who won the country’s only medal of the Games – a bronze in the 81kg judo. He may have represented Moldova at the last Olympics, but Toma was proud to bring back the bling for his adopted country. “Doing judo in Moldova is not as possible as in the UAE. And the career of an athlete is short. In the UAE they gave me the chance to represent them, they always believed in me,” he said after his victory for the bronze. The press conference following the women’s 100m breaststroke final had everyone feeling just a little bit awkward. USA’s Lilly King, who had been highly critical of Russia’s Yulia Efimova’s participation in Rio, had just won the gold while Efimova claimed the silver. What followed was more criticism, with King standing by her earlier statements. Efimova was in tears and bronze medallist Katie Meili was stuck in the middle of the two, not too sure where to look. Former All Blacks captain and World Cup winner Richie McCaw on his way to supporting the Kiwi crew of Eric Murray and Hamish Bond in the men’s pair rowing. It obviously did the trick – the duo went on to win gold to continue their incredible unbeaten run which started back in 2009. 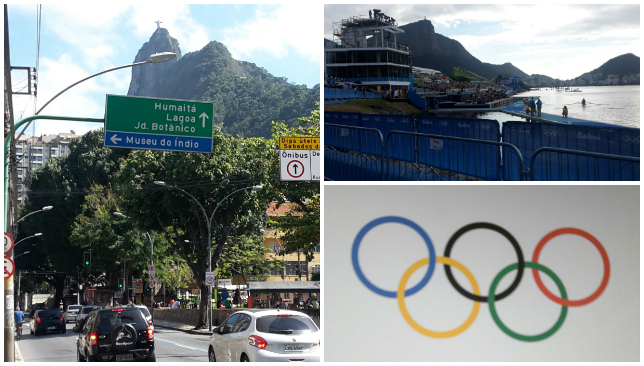 Surrounded by mountains with the Christ the Redeemer statue looking down on all the boats, the Lagoa Stadium – where all the rowing took place – has definitely been my favourite spot so far. They are hosts after all so we’ll have to go with Brazil on this one. There’s been some criticism of empty seats in the stadiums, but those who are here certainly make themselves heard. When one of their athletes is announced, chants of “Brasil, Brasil” or the athletes name can be deafening – and the response when they walked into the stadium at the opening ceremony was just phenomenal.